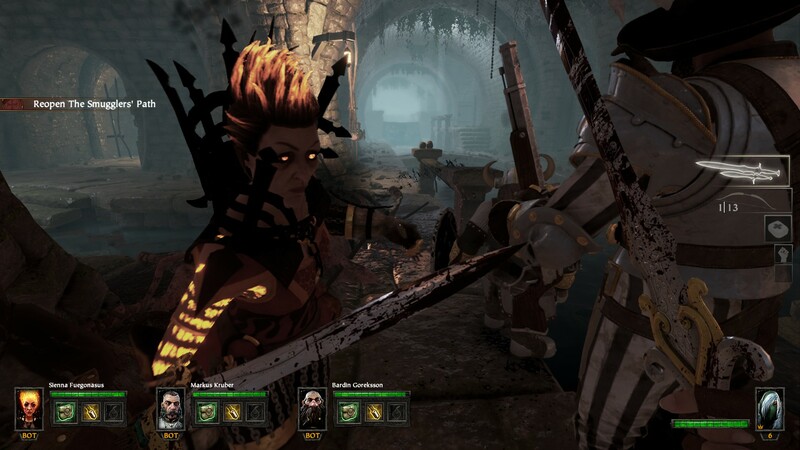 Warhammer: End Times - Vermintide can be boiled down pretty simply: it’s a Left 4 Dead-like game using the Warhammer license set in the End Times, which is both an in-universe event and the literal scuttling of the physical game in favor of a new edition. You’ll power your way through levels, hacking and slashing at massive hordes of ratmen and special Skaven, in order to complete various objectives. You’ve played a game like this before, but this is a refreshing take on it. Vermintide is a particularly cathartic game for me. When I was a teenager, several of my friends and I were deep into Warhammer. Hundreds of dollars deep. But first, I need to tell you about one of my friends. Let’s call him… “Pete”. Pete is the kind of player who exists only to troll everyone else, so naturally, his chosen race was the Skaven (rat-like creatures that attack in swarms). I could write five thousand words about the number of times Pete did nothing of consequence in our large Warhammer battles other than exploiting the Skaven’s mechanics to annoy the rest of us, who were trying to play a serious strategic game, but alas, this is a video game review. Let’s just say that when presented the opportunity to relentlessly slaughter hundreds, if not thousands, of ratmen in a videogame, I leapt at the opportunity. Unlike Left 4 Dead, whose heroes’ abilities were identical, Vermintide has opted for a class-based approach. There are five classes: Witch Hunter, Waywatcher, Empire Soldier, Dwarf Ranger, and the Bright Wizard. The Soldier and Ranger are heavily melee-focused, and can carry shields to help protect the group. 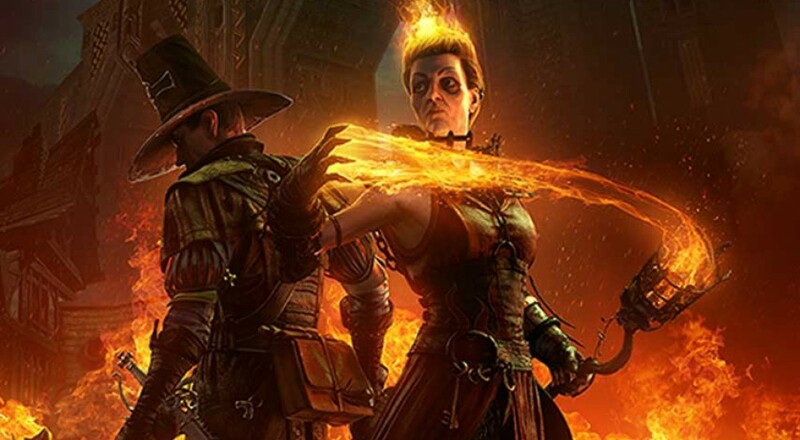 The Witch Hunter is more of a hybrid melee/ranged character, while the two ranged characters play very differently. The Waywatcher can fire arrows in quick succession and even pop off a homing shot if she takes the time to aim. The Bright Wizard, on the other hand, slings fireballs and can conjure a pool of flame from the ground, but needs to carefully manage a heat meter. If she overdoes it with the magic, she’ll ignite herself and start taking damage. Most of the combat in Vermintide is melee-based and feels really, really good. Weapons vary from a light rapier to a two-handed hammer, and those variances are reflected in the damage they do. Quick cuts with a sword or axe make short work of your average ratling - dismembering them left and right - while heavier, two-handed weapons deal sweeping and crushing damage. There’s a definite weight that you feel with those heavy weapons and it makes me wince slightly when they pop the heads of even the strongest enemy. Each weapon can also be charged for a power attack, which can change the type of damage it deals (piercing instead of slashing, etc). You can also block enemy attacks outright, which drains some of your stamina. This stat is dependent on what type of weapon you’re using, with heavier weapons typically having more stamina than lighter ones. Blocking an enemy attack can be followed up with pushing enemies away, though that further drains your stamina. Those characters that can carry a one-handed weapon and a shield can shield bash a crowd and knock them all to the ground. Finally, everyone also carries a ranged weapon that can be used to snipe enemies from afar, though their effective range is dependent upon which character you’re playing. Page created in 0.2210 seconds.